Zuan Education proudly announces the FREE seminar on Digital Marketing, Web Designing and Web Development for freshers, job seekers and employees who want to switch career in these domains.In today’s fast paced world it is very difficult to keep up with new ways and techniques to successfully promote a business online. We are here to help you! We teach you how to get started and offer tips to survive in the world of internet marketing!! Gain knowledge about the latest and most demanding web technologies to up-skill your career! This seminar is completely FREE of cost! We assure you can get useful insights on building your career to reach sustainable heights. 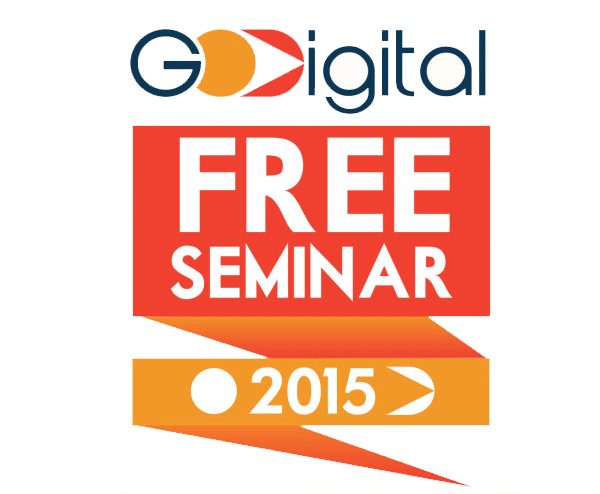 To participate on this GoDigital FREE Seminar by Zuan Education, Click here. Right Change to Boost your Career! Don’t miss this golden opportunity! It’s time to up your game and #GoDigital..!